"The Exos 48 splits the difference between the 58's thru-hiking prowess and the 38's ninja-like agility. It works great for weekend trips and depending on your packing style can go way further. 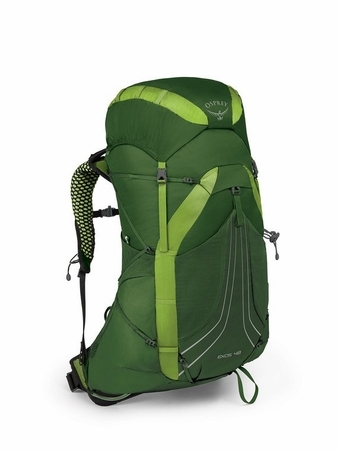 The incredibly comfortable Exoform harness and AirSpeed ventilated suspension combine with trail-friendly features like Stow-on-the-Go trekking pole carry to make every backpacking trip as comfortable and enjoyable as possible. Our All Mighty Guarantee means you can rest assured we've got you covered if anything happens on the trail. Stripped weight - 2.27lbs, 1.03kg.